What does it take to be a successful, tech-savvy finance leader in today’s digitally modernized world? 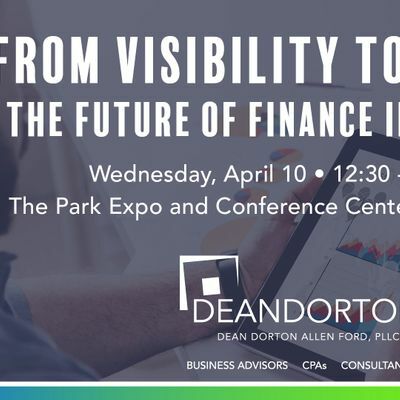 In this free seminar for finance professionals*, discover how trailblazing companies are facing their most pressing challenges in finance by leveraging cloud-based accounting technology to stay ahead of their competitors- using artificial intelligence, automation, and real-time visibility. 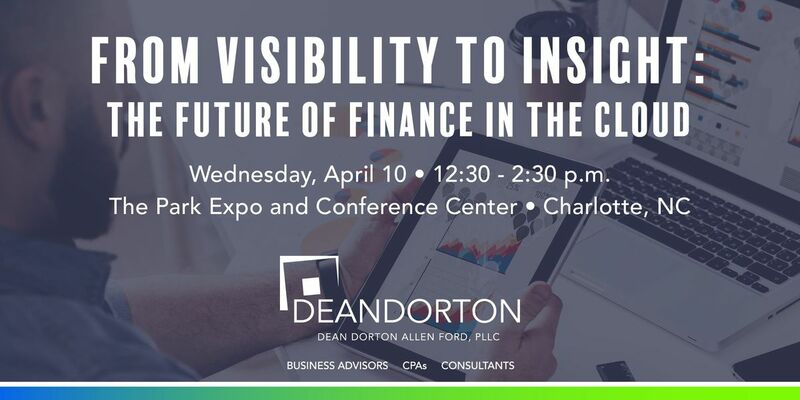 Dean Dorton, named as a Top Firm in the Southeast, invites Charlotte's business leaders to “The Future of Finance in the Cloud”. CFOs, CEOs, Controllers, Accountants, VPs and Director’s of Finance and executives who play a financial role in their organization are welcome at no charge. Don't miss this opportunity to mingle with local finance leaders and learn the meaning of true financial management! *The luncheon is complimentary for all individuals who play a financial role in their organization (including CEO's and President's). For all non-finance executives, we reserve the right to charge a $50 fee for the cost of attendance.